He said the arrears clearance plan was tied to economic reforms, which are anchoring President Mnangagwa's administration as he seeks to lead Zimbabwe towards attaining Upper Middle Income status by 2030. "We just need to work harder to make sure that we access the bridging resources for that," said Prof Ncube. "In terms of the bridging resources themselves, of course we are having conversations with the creditors themselves because that is where we can get the cheapest funding. "The cheapest funding you can ever get is from themselves (the World Bank, IMF and African Development Bank) and there are mechanisms through which this can be done and we are working on that; we are having a conversation on that." Zimbabwe's arrears to the African Development Bank (AfDB) are $610 million, over $1,16 billion to the World Bank and $212 million to the European Investment Bank. The TSP has been widely accepted by the creditors and foreign governments as a "credible document". 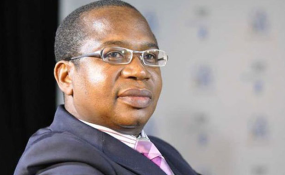 Prof Ncube said the issue now was the implementation of the TSP, "and the first test is really through the Budget, that is your implementation instrument and also resource allocation". "The Budget was passed by Senate on the 29th (of January) so that process is complete. We are now going into the implementation phase for the next few months and that's when we will show the track record in walking the talk on our economic reform agenda. "I must say that from where we sit as Government (and) as Treasury, the path is still clear, we are carrying on with the reform agenda because if you think about it, what's beginning to happen is that we are beginning to really experience some of the pain without completing the reform agenda. "So it is important to complete (the reforms) so that the pain is then worth the investment." ". . . in terms of interacting with the institutions, the arrears clearance road map involves closer working relationships with the IMF, World Bank and the African Development Bank. "As I speak, this week they (IMF team) are visiting Zimbabwe, I just met them before I came to speak here, at the (National) Defence College (University) and we have been very open, very transparent, very constructive in our conversations about our reform agenda (and) where the economy is headed. "All that is part of the arrears clearance road map, you cannot get to the road map without talking to the three institutions, so arrears clearance, is part of the road map." Said Prof Ncube: "So my view is that we are on track. Of course, it doesn't mean that any turbulence we face in the country, does not tamper with our plan. "When you are piloting an aircraft, when you are going through turbulence you must work harder to keep on course because sometimes it feels like, but you need to keep focus on the destination, and they (creditors) are very supportive of us, in getting to that destination. "Equally, those that we owe money are equally supportive, so we are on course." He emphasised that it was imperative that Government stayed on course regards the reform agenda as it was a "package", together with the arrears clearance plan. Local bank's inability to obtain lines of credit directly limits the quantum of funds to support the productive sector.